Abdullah Morsi, youngest son of Mohammed Morsi, released on bail hours after being arrested for spreading "fake news". A son of Egypt's jailed former president Mohammed Morsi was released on bail Wednesday hours after he was arrested for belonging to a banned group and spreading "fake news", a judicial source said, according to AFP. Abdullah Morsi, the youngest son of the former Islamist president, was arrested at dawn. He was freed by the prosecutor "on bail of 5,000 pounds", the source was quoted as having said. His father, who was jailed after he was ousted by the Egyptian military in 2013, has already been sentenced to a total of 45 years in prison in various trials. Last December, he was sentenced to three years in prison for "insulting the judiciary". Last September, a court in Egypt upheld a life sentence against Morsi on charges stemming from a trial over spying for Qatar. In 2012, he was sentenced to 20 years in prison after being convicted of inciting the killing of protesters, in an incident that saw 10 people gunned down outside the presidential palace in December 2012. Abdullah Morsi gave an interview to the Associated Press earlier this month, complaining that his family has only been allowed to visit his father three times in five years. He also said in the AP interview that prison authorities had failed to provide the former president with sufficient medical care for diabetes and high blood pressure. President Abdel Fattah Al-Sisi's regime has led a crackdown against Morsi's Muslim Brotherhood movement. 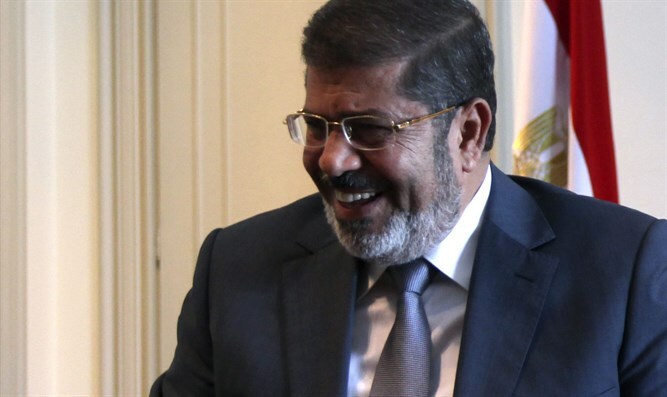 Another son of the deposed president, Ossama Morsi, was arrested in 2016 for "incitement to violence" and is in prison, according to AFP.